The Tanzanian Charity that GMS actively support have had a recent update from the charity organisers. The highlight of the most recent news are up-to-date photographs of the two children Kelvin and Martha that we support. 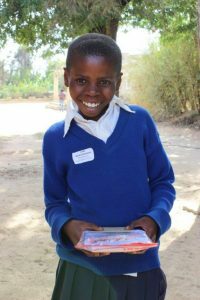 Martha walks 30 minutes a day to reach school, her favourite subject is science and she likes netball. Kelvin is at a different school, which is very overcrowded, there are 90 pupils in his class! He supports Arsenal and likes history, where he has recently been learning about the Arusha revolution. For him, school starts at 8.00, lunch break is 12:00 to 14:00, the afternoon session is 14:00-16:00. For lunch he is given Ugali (porridge), which the school provides. Very different to UK schools, corporal punishment is allowed and widely used in Tanzania – Kelvin says he is smacked on his hand with a stick sometimes. 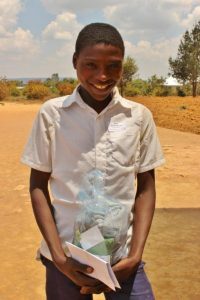 Walsers’ Tanzania Charity are to be given credit for making a difference to children less economically prosperous than us. We thank Susie Roddick, the Charity’s Trustee, for reporting back on her recent visit to Tanzania and the two children photographed here, that GMS support.